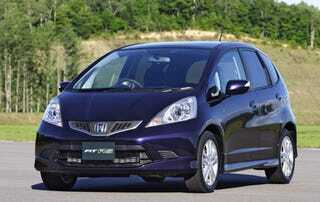 The second-generation Honda Fit may not be Godzilla, but it's at least a Gamera. The beloved little Honda beat out both the Nissan Skyline and Subaru Impreza for the coveted Japanese Car of The Year award. This is quite the turn around from last year, when the large, Mothra-like Lexus LS was given the award.